Day 1 - Hulhumalé : Dune’s staff will pick up at Malé International Airport and bring you to Soleil 2 for boarding. Refreshments are offered while getting information you need from our Cruise Director. Dinner will be served in the evening. 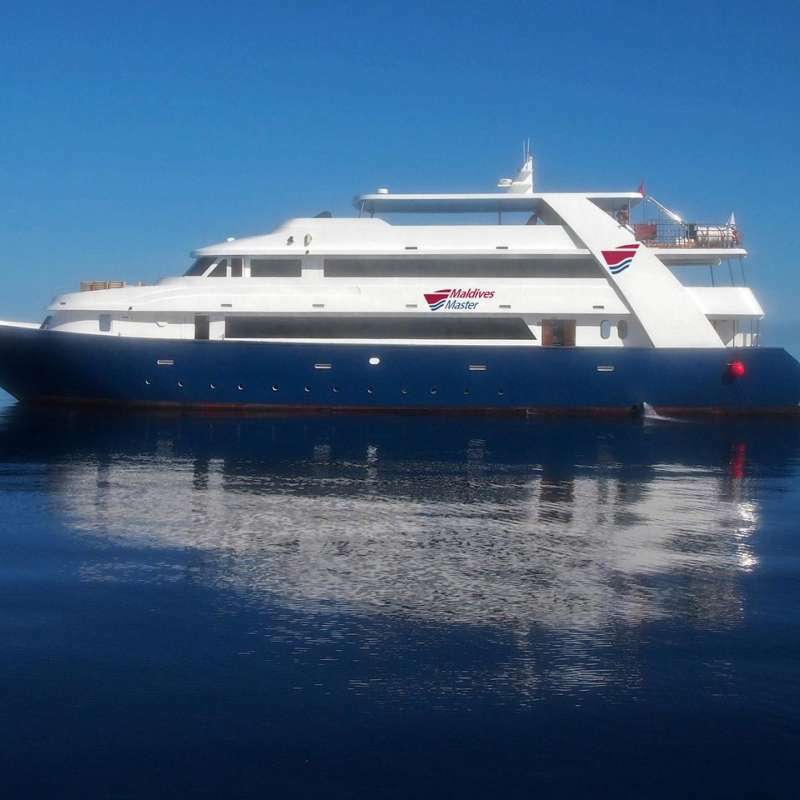 As soon as all the guests are on board and settled in, we will set sail to the first dive site. 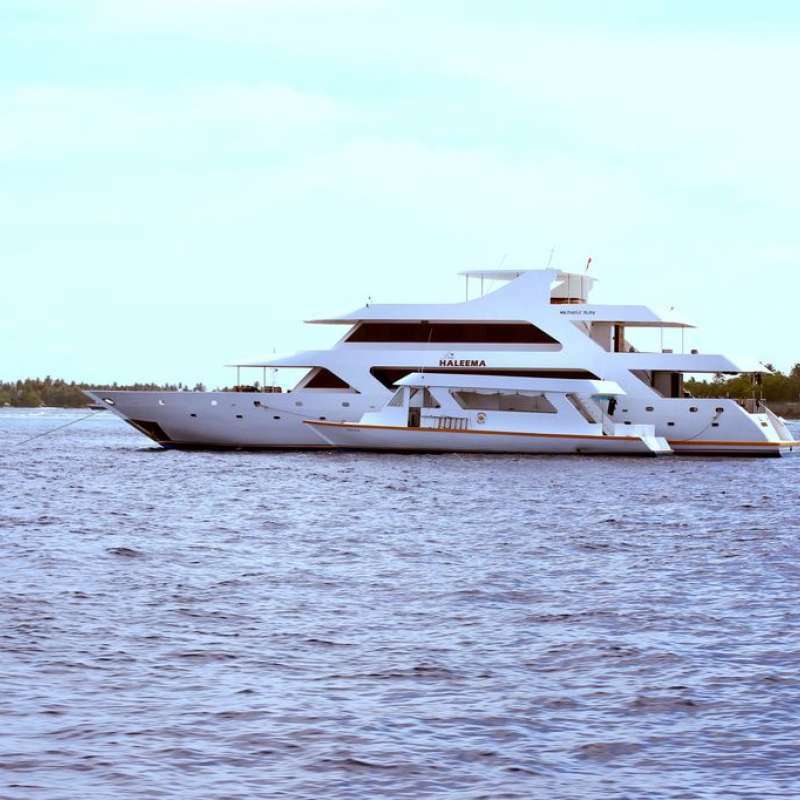 Day 2 - North Malé Atoll > Vaavu Atoll : The trip will start with discovering the dazzling long reefs or manta point (during season May to Nov only) in North Malé Atoll. Corals are abundant here, giving home to plenty of reef fish and macro species. 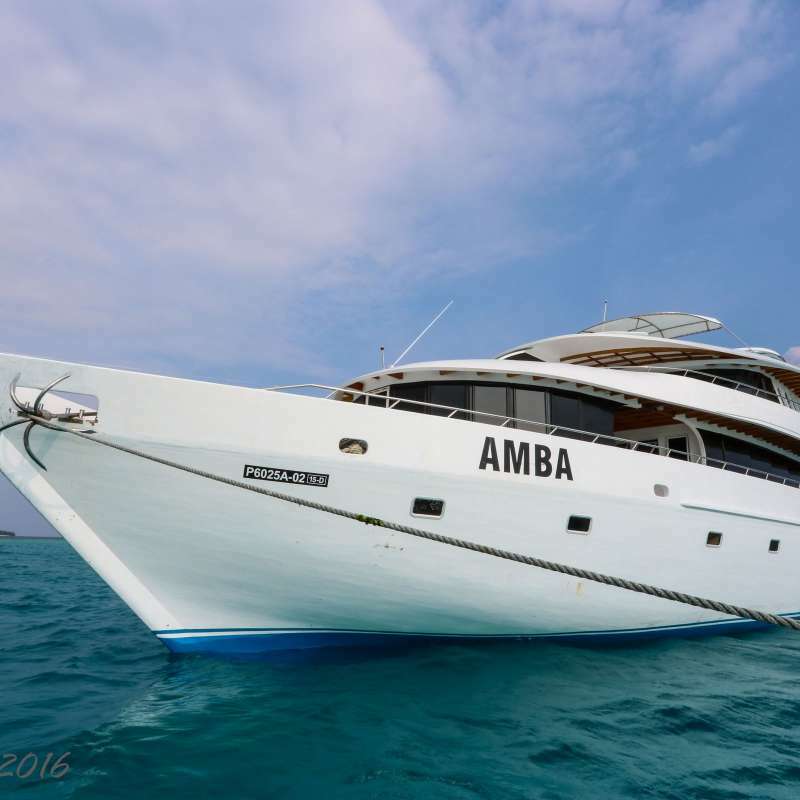 After the day, we will cruise to Vaavu Atoll for the action packed night dive you cannot miss. There are no other experience alike as to join the nurse sharks, sting rays, and jacks in their feeding frenzy. Day 3 - Vaavu Atoll > South Ari Atol : Small caves, large overhangs, drop-off walls, and sloping reefs covered with corals can be found in Vaavu Atoll. Titan triggerfish are common. Larger marine life such as grey reef sharks, white tip reef sharks, tunas, and barracudas are also found here. Moving west to the South Ari Atoll, you will encounter beautiful pinnacles and bigger marine life. Dive into the aquarium of mother nature, meeting the stars of the trip. Day 4 - South Ari Atol : In the marine protected areas, our first star, the mighty whale sharks regularly show their appearances. Our crew will search for their presence and allow you a chance to snorkel or even scuba with them. Lucky or not, there are also many thilas and some wrecks in South Ari Atoll. Grey reef sharks, napoleon wrasse, moray eels, and scorpionfish can be found here. Exploring to the most, diving in and also setting foot on the paradise. Our crew will lead a visit to the nearby local island just before dinner. Day 5 - South Ari Atoll > North Ari Atoll : Cruising never stops, moving up to the North Ari Atoll while taking the last chance to get up close easily with whale sharks. In the north, channels are wider and water is deeper, we will meet some more of the stars here. The current attracts many grey reef sharks, white tip reef sharks and even other large pelagic fish. When night falls, you will be invited to go ashore again and indulge yourself in the barbecue dinner on nearby desert island prepared by our crew. Day 6 - North Ari Atoll : Multiple manta cleaning stations, extraordinary thilas and wreck with rich marine life are what you will dive in here. Apart from the above mentioned, you will also find eagle rays, hawksbill turtles, napoleon wrasse, school of blue-stripe snapper, batfish, and fusiliers here. The day will end with a manta night dive. Spectating the enormous manta rays feeding right in front your torch. 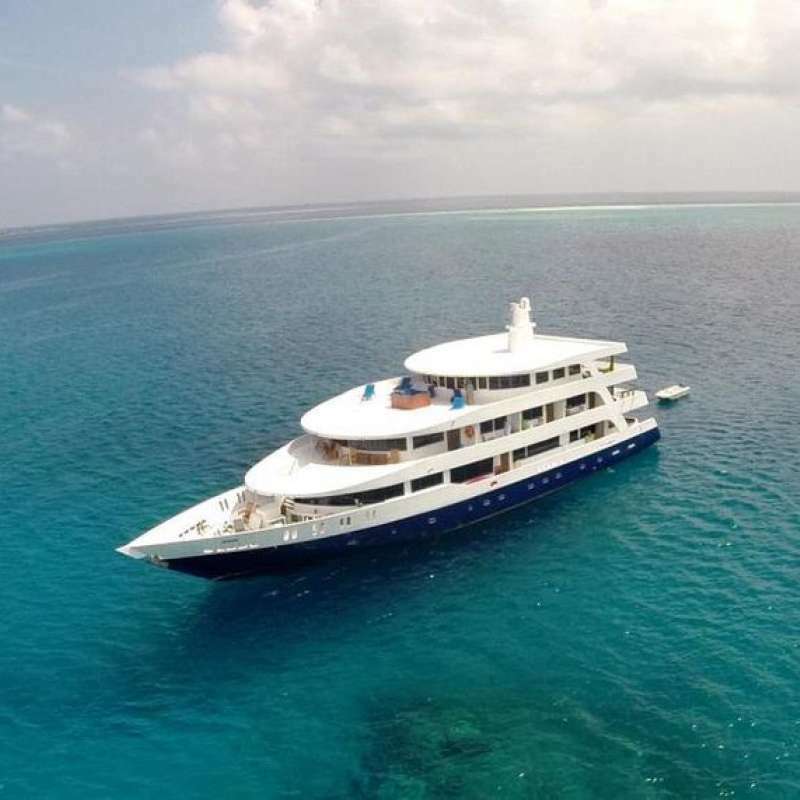 Day 7 - North Ari Atoll > North Malé Atoll : Dive in once more in North Ari Atoll with the pelagic life and the cruise will head back to North Malé Atoll. Here you will find stunning long reefs, small caves, colourful corals with prolific marine and reef life. Take a closer look at the squirrelfish, bannerfish, oriental sweetlips, frogfish, and nudibranchs. Meanwhile, the trip is arriving at the end. Sad to say goodbye but we all hope to see you again at Dune. Day 8 - Hulhumalé : After breakfast, Dune's staff will drop all the guests back to Male airport around 8AM. This last day is left free. Nevertheless, for your comfort, Dune Maldives offers you the choice of: 1. A Day-Use of the Hulhule Island Hotel (on the airport island), or at a Resort close to Malé, or in a Guesthouse on the island of Hulhumalé (additional services are subject to availability); 2.A visit to Malé. Please Note : Your last dive will be at least 24h before you take your return flight. In the event of a night dive, dinner (and the pre-dinner drinks!) are obviously delayed until after the dive which takes place around 7pm. We had a wonderful stay at the Soleil 2. The boat is very comfortable and the crew is great. We had the best dives ever and saw many fish including giant mantas, rays, different sharks and the whale shark. We couldn’t ask for more!!!! Thank a lot to all the dive guides on board because they do an excellent job!!!! Croisière très agréables sur un bateau spacieux et bien équipé, larges cabines, équipage sympa. Ce bateau est géré par une société française. La clientèle lors de ma croisière était pour 65℅ française et anglophone pour le reste. Il y avait toujours un briefing en français et anglais. Pour ce qui est des plongées, c'est impressionnant, j'ai eu droit aux requins, requins baleine, mantas, tortue. cependant la visibilité n'était pas exceptionnel à cause d'une météo capricieuse. Donc enchanté de ce côté là. Seul point négatif et l'odeur de gasoil sur le pont arrière, mais jusqu'à présent je n'ai pas fait de croisière sans ce désagrément.